Work for Oracle Workforce Management Cloud? "They couldn't have come up with a worse timeclock application if they had monkeys punch you in/out"
I like that I'm able to put my hours in via phone. That's convenient, but the process you access and document your hours is very convoluted. I hate how convoluted the system is -- I shouldn't have to go through 5 layers of security to log my hours. It takes so long that I have to tack on how long it took me onto my billable hours. Its ridiculous. There are far better apps out there for calculating time and labor. Why is this one so hard to work? You really have no choice but to use this if your company is implementing this software. That being the case, do the best you can with it. It's going to be a bear to use. Maybe it's just me, but this program is not intuitive and not easy to get into. I would suggest using paper and pencil to log your hours and make sure that you get paid. I'm solving my "getting paid" problem. Although half the time it doesn't acknowledge my existence or recognize the hours I punch in. The only benefits I've realized is being able to document hours on the go, in the field. "Oracle Time and Labor is Pretty Easy to Use"
I like that I can pull up last week's timecard and associated project numbers into the current week's timecard. I also use it for expense reports. It's pretty simple to add an expense report, as well as approve expenses and timecards. I don't like how you must click "recalculate" every time you add new hours. Also, it's not easy to delete a line item. There are often issues with the search function as well. It often won't find associated projects when searching by description. It helps keep track of your hours and manage expenses. Sometime the uploaded documents for the expenses are hard to open. "Full of Features, But Difficult to Customize"
I like the suite of features available on HCM--there are a lot of pre-set rules and configurations that my organization uses that is considered Vanilla HCM. With all of its features, we can probably accomplish 80% of what we need before we have to explore customization. Customization is extremely difficult and our organization consistently has to explore workarounds to accomplish tasks due to the fact that our HR operations is very different from most of Oracle's clients. I would say to explore other similar products like Workday and see what works best for your organization. We have a organization that has employees working 24 hour shifts and we do not pay by the hour--rather we have a group of employees that are a mix of salary and premium for working on top of their regular work schedule. HCM has benefited our organization with its rules where we are able to put hard stops to certain scenarios. Easy user friendly interface. Simple navigation to find what you’re looking for. This has definitely allowed myself and others to see discrepancies right away and fix them. Would like a better customer service call/contact experience with help desk. AT times it could be hard to settle customer-related issues, so a better experince with the service depts is needed. An expansive range of topics could benefit training. Transitioning to electronic time cards- software has been a great device for accurate timekeeping. Its time-effective and more up-to- date than what we've graduated from. It organizes the workload. You can easily follow all the expenses. It times out without any notice and you have to repeat all the work. Submitting time spend on specific tasks to clients. "Easy to use except for compatibility issues"
It is easy to look at and approve of hourly employee. Easy for the employee to sign in and sign out of to record hours. Allows approval of hours without having to sign a document. Oracle is not compatible with google chrome. It is only compatible with internet explorer, and likes to freeze up making me have to restart the program. This is a lot more simple than having to deal with paper timesheets and approvals. However, oracle still needs to work on compatibility issues. It cuts out time and paper needed for hard copy time clocks, and allows for ease of use and accuracy to employees to record hours and to approve hours. "Oracle is simple and straightforward." Oracle simplifies the process of employee capital management and time management. It provides a user-friendly interface that even less tech savvy employees can easily navigate. Aggregate data is logical and lends itself to uncomplicated analysis. Oracle is no-frills. The platform my organization is using appears somewhat dated. We are tracking employee productivity and duty hours. This makes it easier for us to identify the most efficient, high-output employees. "Oracle Field Service Cloud (former TOA)"
Excellent routing engine. Manage interface has provided visibility to resources in the filed in a consolidated format. Although proposed as a native app for mobility, we are finding it is a hybrid app. We were really looking for it to help with offline situations. Decreased windshield time and increased on premise time. "Using Oracle HCM at ADS"
It is a standard and reliable platform for human resources management. My whole department can count on its tools. Security procedure with Oracle is not the best. Updates to the system do not arrive every quarter as expected with other systems like AWS. Performing a plethora of HR admin tasks, managing all associates, job and career information for the enterprise. "Great Enterprise wide Time Management Application"
Our revenue is based on our costs. This tool helped us to integrate and consolidate expenditure from oracle project costing. Timesheet approvals by project manager are easy to configure. "Oracle Time and Labor falls short"
Oracle Time and Labor allowed us to track time across our organization for project purposes. Configuration was very difficult. Integration with Oracle Projects took a lot of time and caused us many issues. We no longer use OTL because of the issues we faced. We had a need to track time by project but for our business it just did not fit. Great for employees to update their information, get benefit and time off info. It looks awesome. It also lets people input everything individually. Sometimes can be difficult to navigate and find exactly what you are looking for or go back to where you were. Look into the UX a little more. Employees handle everything on their own -- from hour inputs to payroll. 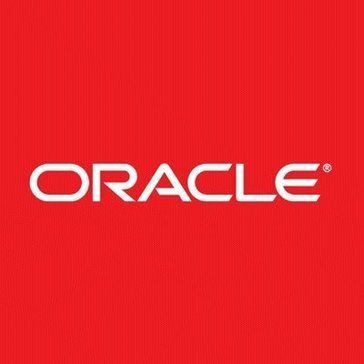 "Oracle HCM Techno Functional Review"
"Good Experience so far using cloud irecruitment"
Configuration and setup was really quick versus traditional implementation of other Oracle eBS modules. Security of the data was a concern; initially support process was a little bit unusal for us but got settled with time. oracle is used across many business which makes it easy to go from one employer to another. It holds a lot of information and is helpful. There are minor challenges like timing out frequently. You get a lot of information at your fingertips. Learning about Oracle Workforce Management Cloud? * We monitor all Oracle Workforce Management Cloud reviews to prevent fraudulent reviews and keep review quality high. We do not post reviews by company employees or direct competitors. Validated reviews require the user to submit a screenshot of the product containing their user ID, in order to verify a user is an actual user of the product.